Everything you need for two of our recommended wireless microphone systems with drop-in battery recharging. 1 x SBC200US Dual-docking Battery Charger with Power Supply. The Shure QLXD24/SM58 is the latest wireless microphone system from the industry leader. The QLXD24/SM58 system offers networked control, AES-256 encryption, and simplified setup and operation. QLXD delivers outstanding 24-bit digital audio clarity. Standard analog wireless microphone systems have to compensate for radio frequency limitations when transmitting analog audio by applying compression and expansion to the audio as well as some pre-emphasis equalization. This can cause artifacts in the audio and will never sound as good as the same microphone connected with a cable. A digital wireless microphone system is different and does not require the same processing. The audio is converted to a digital signal before being transmitted over the radio frequency. Therefore is does not face the same limitations. This process ensures the sound from the microphone is pure and the exact same once it reaches the receiver and is sent to your sound system. The QLXD24/SM58 can automatically scan quickly and easily for a clean frequency. Once it finds a clear frequency to use, simple sync the transmitter to the receiver and you're ready to go. With its ultra-wide 64MHz frequency band and efficient RF performance, up to 60 channels can be used per band. Unlike most other wireless system, the QLXD24/SM58 comes with larger "1/2 wave" antennas that provide the receiver more usable RF gain as well. 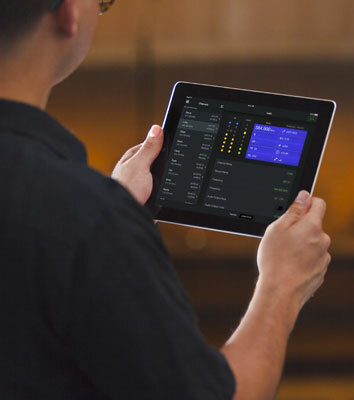 The system can be connected to your existing network with its built-in Ethernet port which allows remote monitoring and control of the system with the ShurePlus™ app for iOS devices and Shure Wireless Workbench 6 software for Mac and PC. Wireless Workbench allows you to scan available frequencies with a full graphic chart showing all frequencies in use at your location. This further allows for fine tuning to avoid possible sources of interference. The QLXD24/SM58 can be remotely monitored and controlled when connected to a network using the ShurePlus app available on iOS devices. No longer do you have to guess if your wireless system is experiencing interference or if the battery is going to die soon. The ShurePlus app gives you control of frequency use, battery like, and transmitter gain control, all from the convenience of your iPhone or iPad. Shure's Wireless Workbench 6 software for both Mac and PC gives you even more control of your QLXD networked systems. WWB6 lets you use the QLXD receiver to do a frequency scan of its entire available bandwidth with the results plotted on an easy to read chart. You can plug in your location and the software will automatically show you and block out TV stations that are broadcasting within the frequency band. It will even automatically deploy the best frequencies to any connected QLXD system. When you're using your wireless microphone for subjects and information that is more sensitive in nature and you don't want anyone to be able to listen in, the QLXD24/SM58 features an available 256-bit AES encryption mode. Simply turn it on and re-sync the transmitter to the receiver, and the audio is fully protected without any penalty to performance. Wireless microphones are an important part of any event, meeting, or performance. Let's face it, wireless microphones can be dropped and handled by inexperienced users. You want a system that can withstand abuse and will last for many years. The QLXD24/SM58 is built to last with its rugged metal construction. The SM58 capsule is legendary for its ruggedness. Drive a truck over the head and likely the microphone capsule will continue to work. There's no reason why a QLXD24/SM58 couldn't last you 10 years or more if properly taken care of. We already told you that Shure's SM58 vocal microphones are legendary, now let us tell you why! With a cardioid polar pattern, the SM58 is a unidirectional, dynamic microphone that delivers top-notch quality vocals in a variety of applications, from live performances to studio recordings and sound reinforcement. In addition to quality and consistency in action, you'll find numerous features such as a built-in spherical filter that helps minimize "pop" noises from wind and breath. Add to that a pneumatic shock-mount system to cut out handling noise and you'll be sure your vocals will stay center stage with Shure and the SM58. What's more, this mic has a brightened mid-range and bass roll off to ensure clear, warm vocals in any performance. 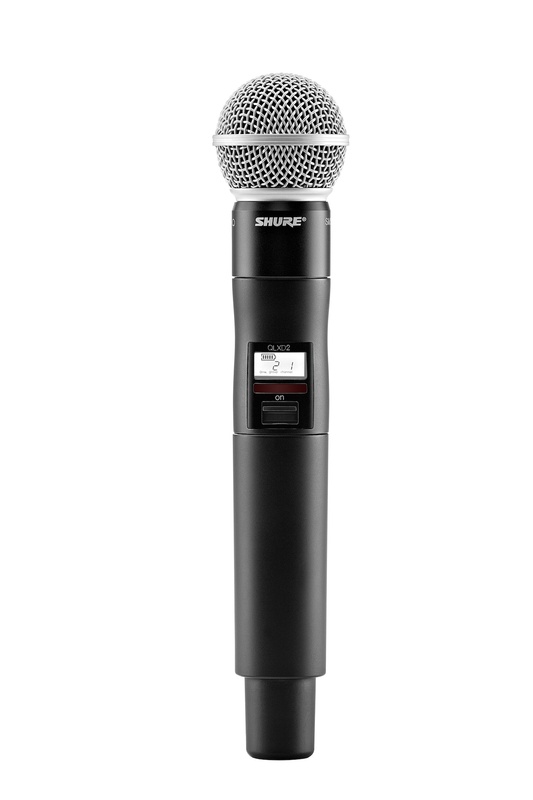 And because Shure knows "things" sometimes happen, they've manufactured the SM58 with a rugged construction, shock-mount system, and steel mesh grille so no matter how roughly it's handled, you'll always get a legendary performance!